I came from Spotify that already has this feature for a long time, and I miss it. I like to control the music of the pc using my cell phone, and it would be great if Deezer had this option. It would awsome to add fuction to stream/control music by Deezer mobile app on for example music on tv. Exact functionality is in youtube application. I have youtube app on tv and on smartphone. I have paired tv with youtube and now playing movies on mobile i can cast it on tv. I hope that my idea is clear enough. Hi @Tomek, just fully understand your idea: What would be the advantage compared to using Deezer directly on the TV? It’s simple to control Deezer by mobile than tv remote control. For example to write text. Hello, why in the dezzer app You can't conect direct to hi-fi speaker like spotyfi conect. Plase put that in the app to conect to Denon heos speaker. Hi @Juan Francisco Dávila, Thanks a lot for your feedback! Can you explain this further? What do you mean by "not connect directly" ? Hi Anja, what I mean is that You can't conect and reproduce the music directly in the Deezer app to a hi-fi speakers like Denon Heos speakers. To conect you need go to the Denon app and transmit the music. In the spotify app un more easy , You only turn on the app and click below , find the speaker and thas it.! Why You cant do that with Deezer.? A Button that starts the app on Smart TV and with witch you can then navigate there. As example: Open Deezer with the button in the app on the TV and then choose a playlist in the app which is then automatically played on the TV. Hi, is it possible to control Deezer Desktop with Deezer phone app? Tomek, have you considered Chromecast? You can send music to your TV, and it can be controlled from the mobile. Please, please make it possible to use the deezer ios app as a remote to the desktop app. People really do not want to walk up to their desktop computers everytime they want to change song or playlist. It would be a great feature to be able t establish a connection between active devices through wi-fi so you can use one device as a remote control to choose songs, playlists or change the volume. One of the things that I love about Deezer and probably the main reason I use Deezer over other music streaming services is because Deezer allows you to add music directly to your main library without having to add it to an additional playlist, in the same way the Google Play music does, but without the hassle, drop and drag, it's as simple as that. But one feature that other music streaming services such as Spotify have that I would love to see Deezer implement is the feature of being able to listen to music on your computer, but control what you're listening to and have the ability to change the song etc to via the application on your smartphone, Spotify does it absolutely seamlessly and it's just so so convenient, great for when you're hosting a party and you don't want to be running back and forth to your computer or you're the type of person that listens to music while you're at work but isn't constantly around the computer to change the song. This is just a free recommendation from someone that has a fair amount of experience with music streaming. If I've sent this to the wrong department please make sure that it's forwarded to the appropriate people, I feel like this is the last major feature that Deezer would need to add to make it competitive in the mainstream music streaming market alongside Spotify, Google Play Music, and Apple Music, you could even potentially launch the new feature alongside an advertising campaign 'Deezer: By the people, for the people" or something like that. Hi ! I just moved from Spotify to Deezer today due to poor audio quality on their TV app, and found myself a bit disappointed for not being able to control Deezer on Tv with the phone app as it makes things really easier. I would be a really really great feature ! For example I'm considering making multiroom broadcasting in my home, and it's a pain if each time I got to change music I need to move back to the TV room and use the remote and then come back again where I was. It looses all interest. Same reason you party at home with friends, someone say "can play this song ?" you take your phone out your pocket and that's done. these are little things but it really improves the experience. @Anja do you know if it's on the tracks ? Hello, I'm the user of your website deezer.com. I like your service and I'm already waiting for the beta to end on the computer. One of your competitors has a very cool, and most importantly convenient function is the synchronization of music with the application on the computer and with the application of the phone and vice versa. 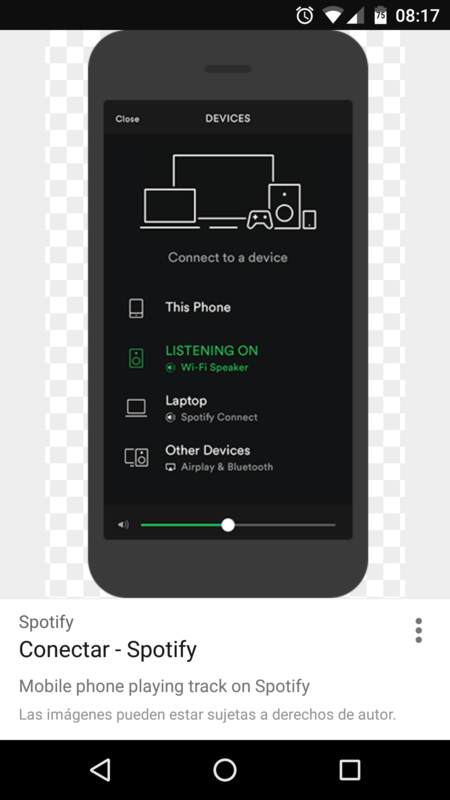 This means that you can listen to music on one device, and switch to another with the same song right from the same minute and more, you can control what is playing and what volume on the computer with the application on the phone and vice versa. What do you think? Please add this function in the future! Add the ability to control the player from other devices.